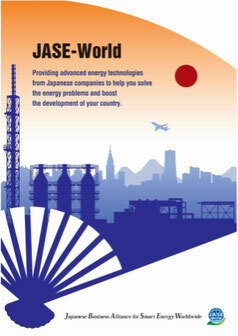 JASE-W signed the extention of MOU regarding the cooperation of Energy Efficiency and Renewable Energy concluded with Russia Energy Agency(REA) in the occasion of President Putin of the Russian Federation visited in Japan. It is one of 68 MOUs which were concluded for the sake of business cooperation between Russia and Japan. Mr Aoyama, Chairman planning & Operation Committee attended the Japan Russia business dialog held in Keidaren on 16th.December.